It’s not like the team has ever been lights out with Stafford! We’ve been suffering for decades another few seasons of 5-8 wins with a poor QB is simply the results we’ve been experiencing anyway. I don’t care what they do. Just get the team set up for the long run and stop trying to convince us they’re close. Nothing says I can't call you all dumb either. I chose that option so get lost. I have no problem with you disagreeing with anything in this thread. At least make your point with a proper argument as opposed to simple name calling. You are far more knowledgeable than that suggests. If you can’t post without insults then feel free to move along. The Lions would incur a $49,000,000 dead cap charge if they got rid of Stafford. It would escalate to $55,000,000 if they get rid of him after the 5th day of the 2019 league year. He is this teams QB. Better get used to that because he isn't going anywhere. And, he shouldn't be going anywhere. He's one of the best QBs in the league being forced to play in an antiquated offense, he's been given minimal talent at WR and TE, they've force fed a washed up running back who essentially forces the offense into being a 2-down offense rather than a 3-down offense, and as of late there's been a revolving door starting at right guard. I don't know how anyone can honestly look at this offense and look at this team and conclude that Matthew Stafford is the problem. I think we all know he isn’t going anywhere. Im not certain that anyone understands the concept of simply discussing an idea. This forum is dead so let’s try and get some discussion going rather than everyone simply dismissing everyone all the time. While we KNOW he isn’t going anywhere it’s interesting to speculate. It’s also interesting to see just how hamstrung a team can get based on structure etc. As for Stafford he’s had talented players to play with. Let’s not pretend the Lions haven’t spent in free agency and the draft to surround him with talent. Stafford is an okay QB but isn’t the type of QB that will carry a team. He’s had plenty of opportunity to demonstrate what he can do. If he needs the best line, best receiving Corp and a top running back then he’s overpaid. The offensive play calling and philosophy isn’t helping Stafford but he has the opportunity to make changes at the line. 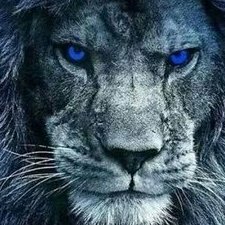 So we will see how things shake out but I expect the Lions won’t win anything with Stafford and at the end of his contract they will have a decision to make. If you know those things then act like you know those things so they don’t have to point it out, repeatedly. If you want to call people dumb then move along. As has been pointed out repeatedly, this isn’t allowed. Spending on players and drafting them high is nice, but that doesn't ultimately = having good surrounding talent. They shipped off Golden Tate and Eric Ebron seemingly without any backup plan to replace them. Marvin Jones and Kenny Golladay excel as vertical threats yet are rarely used as such in the structure of the offense. LeGarrette Blount is washed up yet they keep giving him the ball to waste a down when they could instead be putting Kerryon Johnson or Theo Riddick on the field to run a legit play. Despite all the resources spent (which, really, has been about league-average) they were playing with LeGarrette Blount, TJ Jones, Bruce Ellington, Andy Jones, Zach Zenner, Luke Willson, Levine Toilolo, Michael Roberts, and Nick Bellore as the majority of their skill players in the offense yesterday. They only have Marvin Jones, Kenny Golladay, Kerryon Johnson, and Theo Riddick as legitimate weapons, and two of them are hurt. You can't operate an offense with 4 good skill players when you have to have 5 on the field at all times. That falls on Bob Quinn and the offensive staff, not Stafford. It's not up to Stafford to evaluate talent and provide the depth for this team. It's not up to Stafford to develop the backups into serviceable players. Stafford isn't an elite quarterback, that's true. He isn't Brees, Rodgers, Brady, Wilson, Mahomes, Rivers, or even Roethlisberger. But he's still in the conversation right behind those guys with Matt Ryan, Andrew Luck, Cam Newton, Carson Wentz, Deshaun Watson, etc. He doesn't need the best talent at every position. He just needs to be surrounded by NFL talent, just like the rest of those guys. He isn't Peyton Manning where he can take any random castoff WR and turn them into an efficient target, but that's essentially what he's being asked to do. You're right that Stafford can make changes at the line, but that doesn't mean he can change it to whatever he wants. He still has to change it to something that's within the offense 99.99% of the time. And, the reliance on him making line calls (which is something he doesn't get credit for despite it being one of his strengths) actually hurts the offense as well. The Lions are one of the slowest offenses in the league and they are one of the most predictable offenses in the league. They go to the line and get set with roughly 15 seconds on the playclock, Stafford makes his call, and they snap the ball typically with 8 seconds or less on the playclock. This lets the opposing defensive line tee-off on the offensive line because they basically know the snap count on every play because Stafford doesn't really have time for a hard count. Then, because the offensive line is at a disadvantage and also because they don't have skill players that get quick separation, they have to choose between getting Stafford killed with a seasons-worth amount of sacks in two games or running an offense that mostly treats the pass as an extension of the run game by keeping damn near every target within ~6-8 yards of the LOS (thus eliminating your best WRs and basically any hope at an explosive play). None of that is on Stafford. He's doing the best he can in a terrible situation that has no legitimate excuse for becoming that bad. Blaming it on Stafford or speculating on why you might get rid of him if it were financially possible just doesn't make sense to me because he isn't the one responsible for this mess. from a money stand point it makes no sense to move him, (think its a big dead cap hit ) if we do, 2ndly have you seen what he had to work with on thanksgiving. half of our skilled players wouldn't be on any other roster Minus Golladay.. if anything Stafford is the least of the problems we have. we have to draft better and sign better FA's.. Sign a John Brown type(speedster) in the offseason. bring a 1b to Kerryon's 1a. get/develop a TE. If our D played every week like they did on thanksgiving we'd be near the top of this division. Stafford is the least of our problem. You mean the QB who had a 25 point lead in the Superbowl 1.5 years ago? I know they ended up losing, but the fact that he got there is an accomplishment Stafford hasn't been able to claim yet. Or like they are both having a down year and are making mega bucks. Ryan clearly has better offensive weapons? Blowing a 25 point lead in the Super Bowl isn’t an acoomplishment and was also 2 years ago. In order to blow a 25 point lead in the Super Bowl you have to do something a Stafford lead team has never done, and he had to do it multiple times, that's win a playoff game. That was made easier by doing something else a Stafford lead team has never done, win the division. Also, earn a playoff bye week and home field advantage. Those kind of achievements have been known to earn QBs and coaches the benefit of the doubt. It's why Flacco was allowed to be mediocre at best for several years before the Ravens even brought in competition.